I found this recipe on Pinterest and loosely based my soup around it. Put chopped onion, cans of beans, corn, chicken broth, water, and spices in CrockPot and stir to mix. Put chicken breasts on top of mixture and make sure they're at least partly submerged in liquid. Cook on high 6-7 hours or low 8-9 hours. Before serving remove the chicken breasts from soup and shred, if needed, (sometimes they'll just fall apart on their own, but sometimes they need some help). Return chicken to CrockPot, stir to combine. To serve put a few tortilla chips in the bottom of a bowl, ladle soup over tortilla chips, top with shredded cheddar cheese, and a dollop of sour cream, serve with more chips if you like. Enjoy! Looks delish! I might have to whip that up one day this week. During April, rainy season, nothing's better than a big bowl of soup. 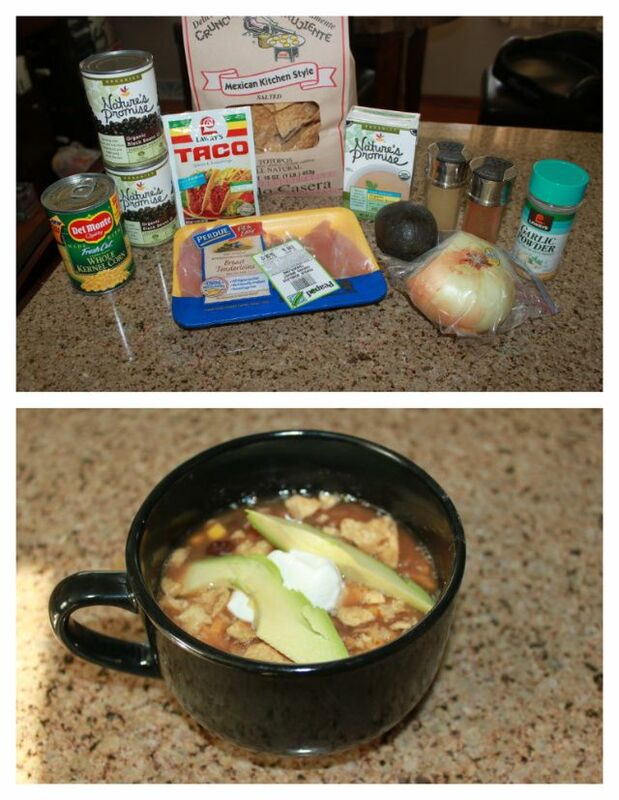 I love chicken tortilla soup, I'll have to try this! one of my favorite things ever! now I really want some too!! !